To many outsiders, working in the world of fashion seems like a career focused on little more than designer clothes, fabulous parties, and surviving on coffee and low-calorie lunches. And while, admittedly, all those aspects can play a role in a successful fashion career, I have uncovered more about life in the years I’ve worked in this industry than I ever expected I would. As with any career, if treated properly, working in the fashion industry has given me ample opportunity to learn some serious life lessons along the way. I’ve had the opportunity to rub elbows with some of the world’s most famous celebrities and talented designers, I’ve sat front row at New York Fashion Week, and, yes, I’ve been to my fair share of fabulous parties along the way. But the real takeaways from my relatively modest time in the glitzy world of fashion are significantly deeper and more valuable than all the famous faces, never-ending soirees, and bottomless champagne glasses. Keep scrolling for seven important life lessons I’ve learned while working in fashion! This might come as a surprise to people who don’t work in fashion, as the fashion industry is pretty much renowned for being shallow, superficial, and all about the clothes—after all, Anna Wintour gets $200,000 a year just for her clothing allowance. 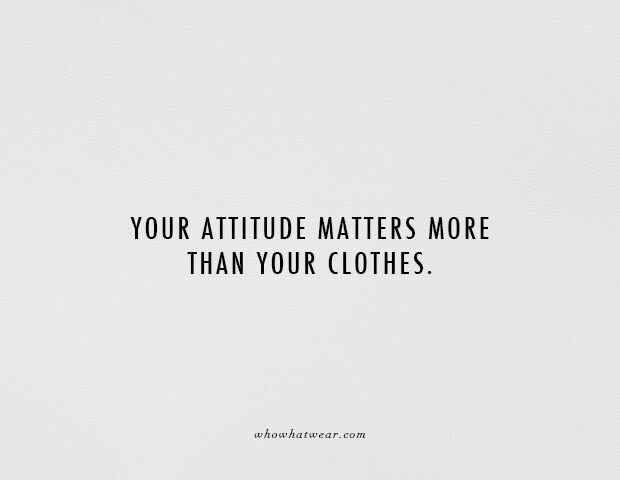 But in reality, the fashion world (and the world at large, I think) is more about the people in it than the clothes those people wear—and therefore, how you treat those people makes a big difference. As the old adage goes: People will never remember what you said to them, but they will never forget how you made them feel. The idea of faking it until you make it might not sound too savory upon first glance, but I’ve learned that it can be a very useful tool when utilized correctly. It’s important to give the people around you the impression that you are quite capable of completing the task at hand. Not only will this bode well for you, but it instills in them a confident belief that you are as capable as you seem. Of course, you will make mistakes—but so does everyone else. What’s important is not to flounder when you make them. One of the most important lessons working in fashion has taught me is that you should be truly kind to everyone in every circumstance, no matter what. And not only is kindness important, but the genuine nature of your kindness is too—I’ve learned that most people can spot disingenuous kindness as if it were written all over your face. Fashion and life in general are similar in that mean people don’t get very far—if no one wants to be around you, then no one will want to hire you. The hundreds of celebrity and designer interviews I’ve conducted has given me more than enough evidence that, at the end of the day, everyone just wants someone to listen to them. The best stories I’ve written have come as the result of me shutting my mouth and allowing the other person to talk. The five most important words in my vocabulary are: “Tell me more about that.” Look into people’s eyes when they speak, and give them your undivided attention; not only will people be impressed that you are such a skilled listener, but you are likely to learn a lot along the way. A common mistake people make in their careers—and one I’ve certainly made from time to time—is too closely associating your personal identity with your work. While there’s definitely something to be said for caring and displaying passion for what you do, there is such a thing as taking it too far; for example, if you ever find yourself becoming heated, overly emotional, or taking the words and actions of colleagues personally, it’s important to take a step back and remember that it’s just work. You have a whole life outside of your job, and jacking up your stress levels will neither make you a better employee nor a happier person. In fashion more so than perhaps any other industry, there is a bit of an unspoken pressure to conform to the trends du jour—to wear all the right labels, hang out with the right people, be seen at the right events. But what I’ve learned is that the people who are most successful—and, generally, the ones I most enjoy being around—are the ones who dare to be themselves. Part of what’s interesting about work and life is the different sorts of personalities you encounter—how boring would it be if everyone you met was exactly the same? I’ve taken this as an empowering sign that I, too, should feel okay being myself. When I’ve been in situations where I didn’t really know what I was doing, I remained poised and acted as though I felt confident at what I was doing—and without fail, I’ve eventually grown to learn exactly what I should be doing. I’ve come to believe that if you act knowledgeable and confident long enough, you eventually become what you’re pretending to be. That’s just how it works. What are some major life lessons you've learned from your career? Tell us in the comments below!